Using previously unexamined sources, E. Wayne Carp offers the first-ever biography of the pioneering adoption activist Jean Paton’s fifty-year struggle to reform American adoption. Paton, a twice-adopted, ex-social worker, founded the Life History Study Center (1953) and Orphan Voyage (1962) the research and communications center for adopted adults. She gave adult adoptees a voice and provided them with a healthy self-image; facilitated thousands of meetings between adult adoptees and their families of origin; fought tirelessly to open sealed adoption records; and indefatigably explained the adoption experience to a wider public. Paton’s ceaseless activity created the preconditions for the explosive emergence of the adoption reform movement in the 1970s. She played a prominent role in the formation of the first national organization for birth parents, Concerned United Birthparents, and was instrumental in the creation of the first national organization for adult adoptees, the American Adoption Congress. By the 1970s, Paton emerged as an influential presence on the national and international stage, inspiring adoption reformers spanning the English-speaking world. Paton received awards and tributes, but none pleased her more than the sobriquet bestowed on her, as early as 1981, as the “Mother of the adoption reform movement.” Patron’s struggle to reform American adoption was never easy; she faced resistance at every turn. This, then, is Jean Paton’s story: one courageous woman’s struggle to overcome American society’s prejudice against adult adoptees and women who gave birth out of wedlock; reverse social workers’ harmful policy and practice concerning adoption and sealed adoption records; and change law makers enactment of laws prejudicial to adult adoptees and birth mothers. This book began inadvertently in 1993 while I was writing Family Matters: Secrecy and Disclosure in the History of Adoption. Out of curiosity, I asked Jean Paton whether she had retained any correspondence from her days as an adoption activist. She replied that she had many boxes of correspondence that told the entire history of the adoption reform movement. Little did I know at the time that this was a vast understatement. Three years later, I contacted Jean again in connection with my next project, a history of the adoption reform movement because I suspected that she had played a major role in that story. I asked her how much correspondence she had retained over her lifetime of movement activities and whether she would give me permission to use it. She evaded my question about the size of her correspondence but gave permission for me to conduct “responsible research” into her files. I replied that I now intended to write a full-scale “life and times” biography of her, which I hoped would make a contribution “to the history of adoption, social work, and the larger realm of U.S. social history.” I added that I would like to travel to Harrison, Arkansas, to interview her and once again asked her to give me some sense of the size of her files. In a subsequent letter, Paton mentioned ten boxes of correspondence, which she agreed to mail to me. She also agreed to be interviewed. 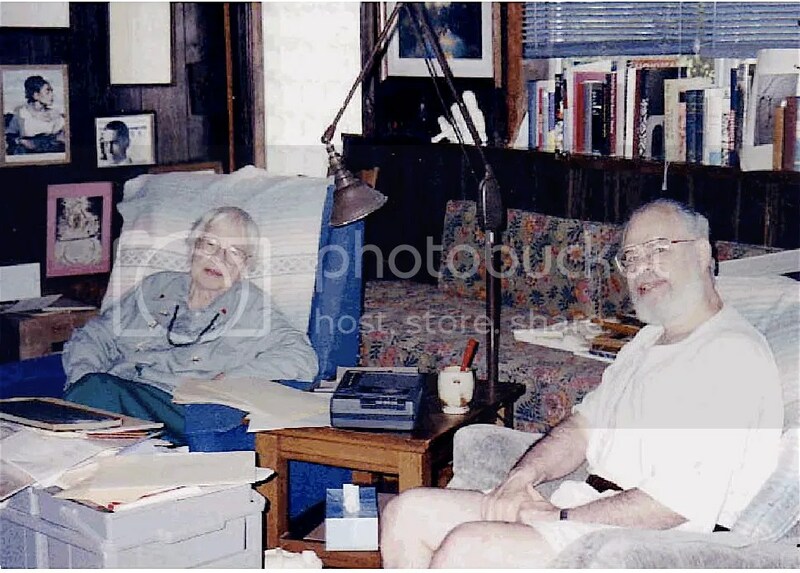 In June 1998 I traveled to Harrison, Arkansas, and interviewed Paton for one week. I discovered a diminutive, feisty woman with twinkling blue eyes, a great sense of humor, and a hearty laugh. 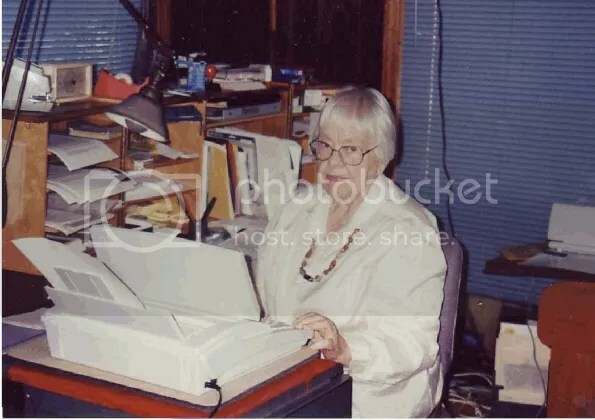 In answer to my myriad questions, Jean delighted in bringing out reams of correspondence, official documents, old newsletters, and newspaper clippings—like a magician pulling rabbits out of a hat—to the squeals of delight and amazement of her audience of one. At once, I recognized three things: how invaluable these sources were; the real possibility of their forming the basis of an important work of history; and how utterly ignorant I had been of the true history of the adoption reform movement. Over the course of the next several years, I received her vast correspondence, which she sent me. I could hardly have imagined the extent of it: it was a biographer’s Eldorado. Jean had made an onion-skin carbon copy of every letter she ever wrote over a period of fifty years—filling some 50 or more boxes— and had carefully filed away almost every sheet of paper in a complex system of file folders. Paton’s own writings range from a discussion of being suckled at the breast of her mother for the first four months of life to discussions of every aspect of adoption reform to reports of her health weeks before her death. In between are drafts of memos, essays, and articles she never published; reviews of her books and media notices of her travels; account books; typewritten notes of books she read; a detailed diary she kept between 1950 and 1953; memos of every phone call she received related to adoption reform; and even sixty-year-old college papers. Just as important for this study, Jean kept every letter, Christmas card, search group’s newsletter, and solicitation she ever received. These materials include inquiries from triad members seeking advice about how to reconnect with their original families, triad members requesting guidance on how to organize search and reunion groups, and correspondence from publishers, editors, and congressmen. Except for me, (and Jean, of course) no one has read this enormous corpus of Jean Paton’s work. In May 2009, I returned to Harrison, and interviewed June Schwantes, Jean’s life companion for nearly forty years. June was 90 years old, but kind, funny, and sharp as a tack. During that visit I obtained dozens of Jean’s photos and even more of Jean’s correspondence and publications. Finally, in October 2010, I received Jean Paton’s library, where it had been stored in the attic of her friend, Ms. Chris Lee, for a decade. The library contained almost one thousand books on a wide variety of subjects, though the bulk of the collection dealt with orphans. All of these materials—Paton’s correspondence her library, and photos—along with transcripts and tapes of all the interviews I conducted with Jean and others relating to this project will eventually be housed in the Social Welfare History Archives, Elmer L. Andersen Library, at the University of Minnesota. It took me many years to read all of this material, organize it into a zillion categories, map out the book into chapters, and begin the writing, which I thoroughly enjoyed. In Jean Paton and the Struggle to Reform American Adoption, I quote liberally from Jean’s unpublished correspondence, writings, and oral interviews because they have never been heard before, and because I want to respect Jean’s exhortation that “Everyone except the adopted has been talking about adoption.” I believe it is important that her words be heard directly, not filtered or interpreted by a third person. I am so grateful that you are able to so honor the great Jean Paton with your book. I am anxious to order a copy. Just came across this site doing research for a senior level social work policy course here in Arkansas. Jean is an amazing women! I am just amazed and overwhelmed with the work she has accomplished.